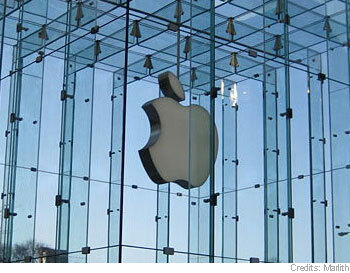 Shares of Apple Inc. (AAPL) printed above the $270 level during Wednesday’s trading session. The stock has gained $1.84 so far and is currently showing strength to the NDX 100 (QQQQ). AAPL continues to test the $270 mark, but a breakout and a consolidation above this level on heavy volume would certainly be a bullish development in the stock. On the charts the security will not have a major resistance until $279. Ticker has support down around $258-$260 which should continue to hold. Apple, whose balance sheet shows $25B in total cash vs zero debt, has climbed $30 in September from the $240 level and is trading well above the 50 day moving average of $255.05 and the 200 day moving average of $234.92. Shares of the $246 Billion market cap co. currently trade at a ttm P/E of 20.30, a forward P/E of 15.38, and a peg of 0.96. From a short-term standpoint, look for ticker to print above $292 level by the end of current fiscal year.